I've pulled more all-nighters in the last two months than in undergraduate and graduate school combined. It's been crazy. 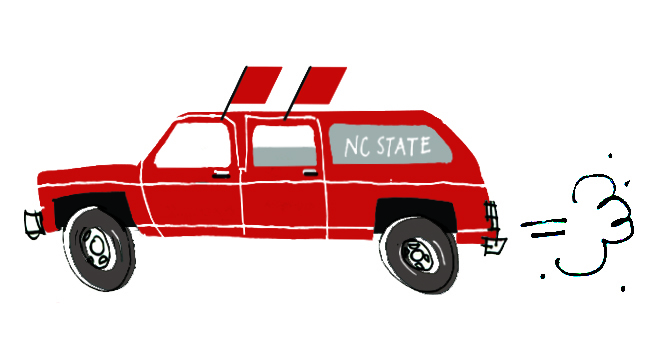 But today, one of the most meaningful assignments we've had to date---with NC State's Alumni Magazine has finally left the studio and is on it's way to print. To say I'm breathing a deep sigh of relief is an understatement. I can't wait to share more of what we've created in January when the issue comes out. In the meantime, here's one illustration that didn't make the final cut. Let connect your relationship with readers through space and all these comments .